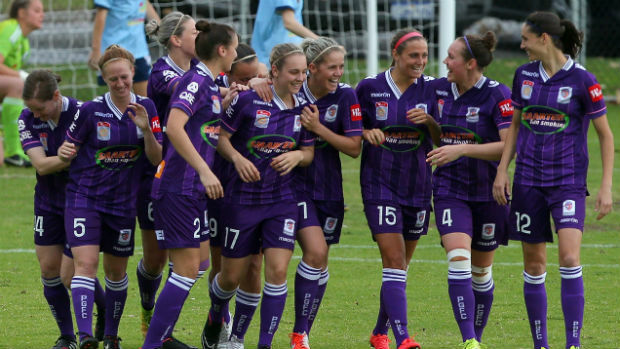 In honour of Perth Glory women’s team reaching the W-League grand final this Sunday (I’ll be there), Dodgy Perth decided to seek out the first women’s football game played in WA. The authoritative history of soccer in this State is Richard Kreider’s Paddocks to Pitches. He says that after WWII there were a few ladies social matches, particularly among the Italian community. However, the first organised women’s soccer game was not until 1971 when the Vel-Belles played the Beauts as a curtain raiser to WA v Moscow Dynamo. To find women’s football older than this, we need to turn to the domestic version of the sport. In the late 19th century, when women in other countries were beginning to play games seriously, most men found the idea either ridiculous, or at the very least unladylike. The goal-keeper looked at the ball—quite amazed at it! So she turned to see where the ball was, and she sat on it. With attitudes like this, it is easy to see why women’s sport was slow to develop in WA. 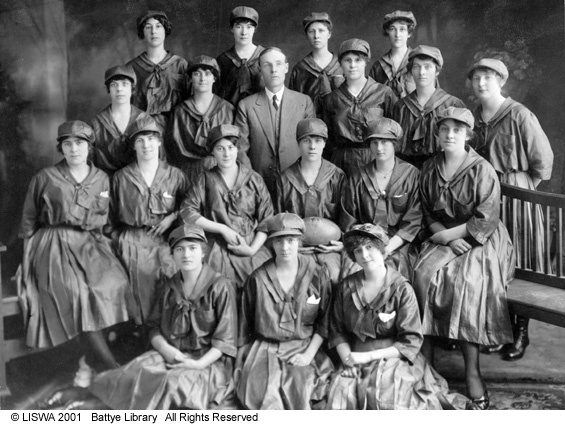 It was not until 29 September 1917 that the first Australian Rules game was played by ladies. It seems that the number of young men away fighting in Europe probably had an influence on the development of the women’s game. Taking place at Subiaco Oval, the event was organised as a charity fund raiser by Miss Gell Howlett. Taking to the field were a team in maroon and a team in gold. The former won three goals to two. Even so, this ground-breaking moment in WA sporting history was simply scorned by the media, who referred to it as women in ‘fancy dress’ who showed little talent. Although there was much ‘laughter’, it was said to be a total failure as a game of football. Seems the women didn’t quite see it that way, since leagues were established both in the metropolitan area and in the Goldfields, and grand finals were keenly fought. With the centenary of women’s organised sport in WA coming up in a couple of years, Dodgy Perth proposes that the Gell Howlett trophy should be established as an annual competition. Anybody want to organise that?